We previlously ran poll on the Driver Solutions Facebook page with the question - "Where is the best place you've seen fireworks on the 4th of July?" How doesn't love a good fireworks show, right? If you find yourself on the road next 4th of July, you might want to check out some of these locations. 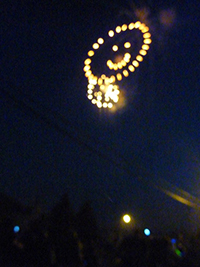 The photo in this blog post is courtesy of Jermiah Sheward and shows the fireworks over Morse Lake in Cicero, Indiana.